Who would have guessed that Shakespeare would be the reigning playwright on Broadway this fall? Of course, there’s no predicting how a new season will take shape. Productions land on the Great White Way through an alignment of creative talent, stars’ schedules, savvy business deals, and that perennial New York essential, real estate — in this case, theatre availability. But a quick glance at the shows whose performances start before the end of the year promises quite a feast for the sophisticated theatergoer. There’s light entertainment and musical treats also in the mix, and, come January, we might view the season in a different light. But for the present, here is a preview of what you can expect between now and December. First, the Bard. Despite the occasional dispute over who he really was and whether or not he wrote what he wrote, the plays of William Shakespeare have endured for more than five centuries, and enjoy four productions this season. Orlando Bloom, internationally famous star of The Lord of the Rings and The Pirates of the Caribbean movie series, and two-time Tony Award nominee Condola Rashad (The Trip to Bountiful) play the star-crossed lovers in Romeo and Juliet (opening September 19 at the Richard Rodgers Theatre). “It is about a miracle of love between two young people, and in these very cynical times we need to address the play with as much heat and directness as possible for a modern audience,” says the director, David Leveaux. He has cast Juliet’s blood relatives — the Capulets — with black actors and Romeo’s Montague clan with white actors, but apparently it is still power and privilege, and not race, that are the causes of the ancient feud between the families. The cast includes Chuck Cooper (Lord Capulet), Jayne Houdyshell (Nurse), Brent Carver (Friar Lawrence), and Christian Camargo as Mercutio. In an extraordinary quirk of timing, three more Shakespeare productions begin performances in October. Richard III and Twelfth Night, which will play in repertory at the Belasco Theatre starting October 15, originated at London’s Shakespeare Globe Theater, the Elizabethan-style playhouse reconstructed on the banks of the Thames. Since 1977, Globe presentations have emulated what they call “original practices” of the first Shakespeare stage productions. Expect costumes that evoke Elizabethan finery, musical accompaniment on traditional instruments played live from a gallery overlooking a simple wooden stage, and the warm glow of candlelight. Since women were not permitted on the 16th-century stage, two-time Tony Award winner Mark Rylance (Boeing, Boeing and Jerusalem) not only plays the crookback villain in Richard III, but also gives us a star turn as Olivia, the lady who falls in love against her will, in Twelfth Night; Samuel Barnett (Tony nominee and Drama Desk winner for The History Boys) plays the cross-dressing Viola in the bittersweet comedy and Queen Elizabeth in the history play. Comedian, writer, and TV personality Stephen Fry will make his Broadway acting debut as the much abused steward Malvolio in Twelfth Night. And Broadway gets a new Macbeth (starting October 24 at the Vivian Beaumont Theatre) just six months after the last production, notwithstanding the widely held superstition that it’s bad luck to even mention the name inside a theater. The new Lincoln Center Theater revival stars Ethan Hawke as the Scottish general who kills to get the crown and then continues his murder spree to keep it; Olivier Award nominee Anne-Marie Duff plays Lady Macbeth. The production is directed by Jack O’Brien, who also directed Hawke in the Tony-winning The Coast of Utopia six seasons ago. British playwright Harold Pinter is right behind Shakespeare with two star-studded revivals of his work, also slated for October. Mike Nichols (Tony Award winner for last year’s Death of a Salesman) directs Daniel Craig, Rachel Weisz, and Rafe Spall in a new revival of Betrayal (from October 1, Barrymore Theatre). Pinter’s 1978 work, about a couple who embark on a seven-year-long extramarital affair (inspired by an episode from the playwright’s own life), unfolds in reverse chronology, heightening the multiple infidelities within the complex drama. If movie-struck theatergoers are thrilled at the opportunity to see James Bond (Craig) live on stage in one Pinter play, they will have the added pleasure of seeing Gandalf the wizard (from the Lord of the Rings and Hobbit series) and Captain Picard of the starship USS Enterprise (from Star Trek: The Next Generation and its movies) in the other. The second Pinter work this season is No Man’s Land (October 26, Cort Theatre), starring the distinguished British actor knights Ian McKellan and Patrick Stewart. In this mysterious 1974 work by the Nobel Prize–winning playwright, Sir Ian and Sir Patrick play two older writers who may or may not know each other. Their elaborate charade is intensified with the arrival of two other men, played by Tony Award winners Shuler Hensley (Oklahoma!) and Billy Crudup (The Coast of Utopia). When Pinter and Beckett were first making their mark in the 1950s, the dominant playwright in London’s West End was Terrence Rattigan. The popular English playwright, best known for elegantly structured drawing-room dramas, went out of fashion with the advent of new movements in British theater. During the past decade, however, Rattigan has enjoyed a new lease on life as his emotionally complex and subtly subversive work gets reassessed. The recent London Old Vic production of Rattigan’s The Winslow Boy (starts September 20 at American Airlines Theatre), directed by Lindsay Posner, will be presented by the Roundabout Theater Company with a new American cast that includes Michael Cumpsty, Roger Rees, Alessandro Nivola, and Mary Elizabeth Mastrantonio. In the 1946 drama, which hasn’t been seen on Broadway since its New York premiere 66 years ago, a young cadet in a military academy is expelled for stealing. His family offers him unconditional support, rallying to his defense and hiring a high-powered lawyer to clear his name, but the costs — financial and emotional — are high for all involved. 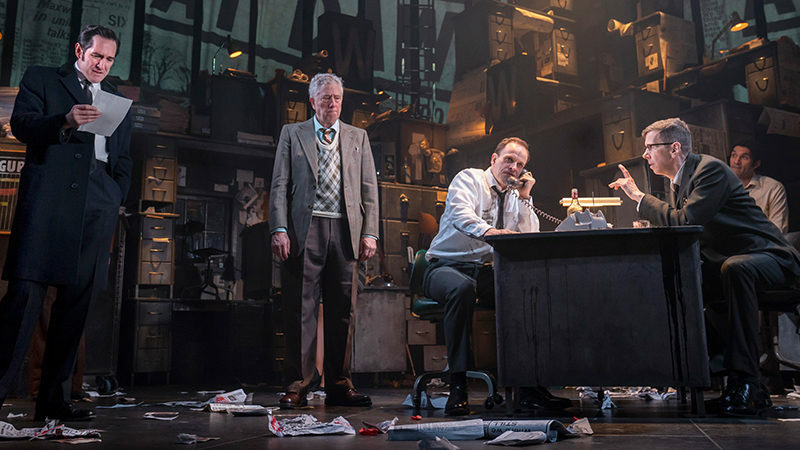 Unlike the two screen versions (the most recent directed by David Mamet in 1999), Rattigan’s play keeps the pivotal trial scene off-stage focusing on the emotional toll on the family in their own home. It would seem, at least in these early months of the season, that male actors are the only ones getting to preen on stage. That may change next year, but for now there is some balance with the opportunity to see at least two Tony-winning dramatic actresses — Cherry Jones and Mary Louise Parker — in major roles this season. Jones (The Heiress and Doubt) takes on the role of Amanda Wingfield, the determined mother in Tennessee Williams’ great memory play The Glass Menagerie (starting performances September 5 at the Booth Theatre). “I know a lot of women in the South who have larger clanking balls than most men I’ve known, but on a dime can turn into the most intoxicating, seductive women,” Jones said recently in an interview with the Los Angeles Times. 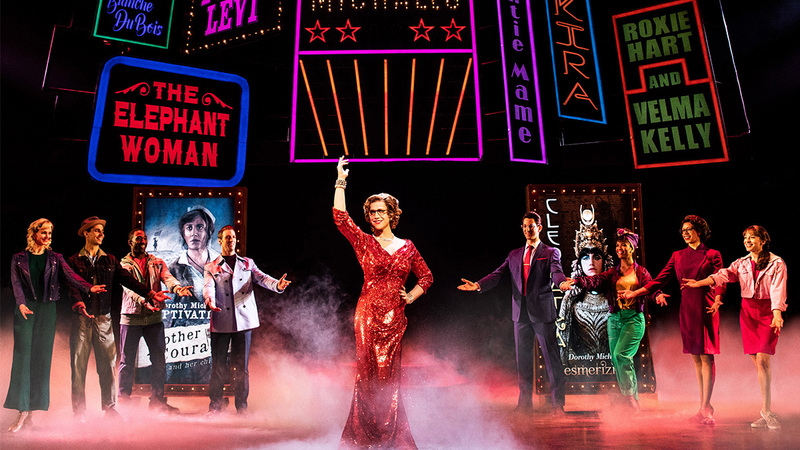 The production, which arrives on Broadway with accolades for its previous incarnation at American Repertory Theater in Boston, is directed by John Tiffany, the Tony Award–winning director of the musical Once. The cast includes Zachary Quinto (popularly known for playing Spock in the reboot of the Star Trek movie series) as Tom, the son who leaves home, and Celia Keenan-Bolger (Tony nominee for Peter and the Starcatcher and The 25th Annual Putnam County Spelling Bee) as the fragile daughter, Laura. In The Snow Geese (starting October 1 at the Samuel J. Friedman Theatre), one of only two new plays in the first half of the season, Parker (Tony winner for Proof and now famous for the Showtime TV series Weeds) will play an American family matriarch whose gilded lifestyle is coming to an end as the specter of World War I looms ahead. The new drama by Sharr White, who was represented on Broadway last season with The Other Place, is coproduced by The Manhattan Theater Club and MCC Theater and directed by Daniel Sullivan, who received a Tony for directing Parker in Proof. Playwright Sophie Treadwell probably wouldn’t be surprised to discover that the Broadway stage can get crowded out by men. Although her writing spanned nearly half a century, she is remembered today almost solely for her 1928 expressionist work Machinal, which returns to Broadway 85 years after its premiere, in the Roundabout Theater Company revival helmed by British director Lyndsey Turner (begins performances December 20 at the American Airlines Theatre). In Treadwell’s resolutely unsentimental drama, Rebecca Hall, daughter of famed English director Peter Hall and best known for her movie performances in The Town and Vicky Cristina Barcelona, stars as a young woman who marries her boss to escape the mechanical drudgery of her life in the office. Following the real-life events of a notorious 1927 suburban love-triangle scandal involving the Queens housewife Ruth Snyder, the heroine kills her husband and is sent to the electric chair for the crime. To paraphrase Duke Orsino in Twelfth Night, music is the “food of love” and theatergoers with an appetite for musicals will get their fair share. 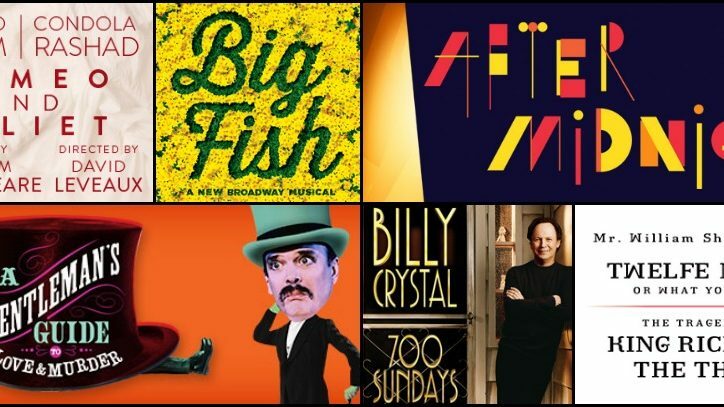 The first two new musicals of the season — First Date (Longacre Theatre) and Soul Doctor (Circle in the Square) — have already opened. Next up is Big Fish (opens October 6 at the Neil Simon Theatre). With music and lyrics by Andrew Lippa (The Addams Family) and a book by screenwriter John August, Big Fish is based on the novel by Daniel Wallace about a traveling salesman who indulges in colorful stories to explain his life’s adventures. August, who previously turned the story into a well-received movie in 2003, returns to the source material for the musical, which is directed by five-time Tony Award winner Susan Stroman. Norbert Leo Butz (Tony winner for Dirty Rotten Scoundrels and Catch Me If You Can) plays the father who spins the tall tales, Bobby Steggert (Ragtime, Yank!) the son who is having trouble connecting with his father, and Kate Baldwin (Finian’s Rainbow, Giant) plays the mother who is trying to reconcile the two. 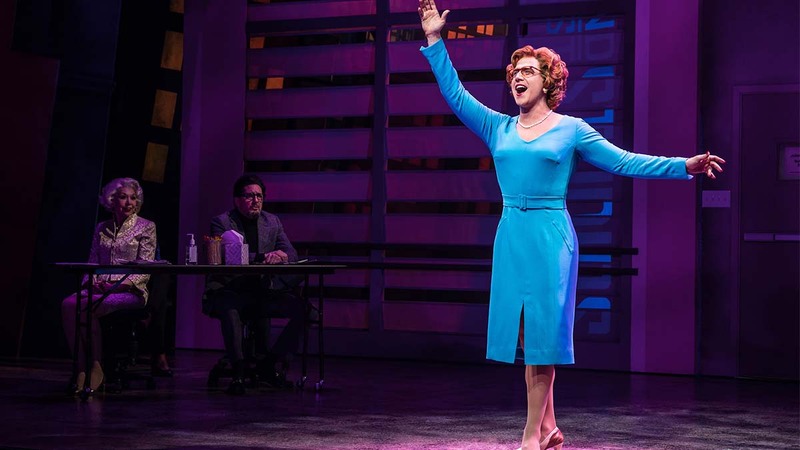 Music legends Carole King and Janis Joplin — born just a year apart in the early 1940s but whose lives and careers took very different trajectories — are both being celebrated with new musicals this season. Blues singer Mary Bridget Davies, already acclaimed for her uncanny impersonation of Joplin around the country, channels the “Queen of Rock and Roll” in A Night with Janis Joplin (starts September 20 at the Lyceum Theatre). Written and directed by Randy Johnson, the musical concert includes Joplin classics such as “Me and Bobby McGee,” “Piece of My Heart,” “Tell Mama,” and songs by divas such as Nina Simone and Aretha Franklin who inspired her (sung by another performer). The songs are interspersed with anecdotes from the singer’s life, which tragically ended at age 27 from a heroin overdose in 1970. King truly came into her own with her best-selling pop album Tapestry, which was released the year after Joplin died. Beautiful — The Carole King Musical (starts November 21 at the Stephen Sondheim Theatre), with a book by Oscar-nominated screenwriter Douglas McGrath and direction by Marc Bruni, charts the life of the singer and songwriter from her early days growing up in Brooklyn to her triumphs in the recording industry. The score draws from King’s extensive catalog and includes her much loved songs “You’ve Got a Friend,” “A Natural Woman,” and “So Far Away.” Tony nominee Jessie Mueller (On a Clear Day You Can See Forever) plays King, and Jake Epstein plays King’s former husband and writing partner Gerry Goffin. In another tribute to American music history, After Midnight (starts October 18 at the Brooks Atkinson Theatre) celebrates the period when jazz great Duke Ellington dominated the Harlem music scene — the years from 1927 to 1931 when he presided with his orchestra as the house band at the famed Cotton Club. The musical, conceived by Jack Viertel, includes classics like “Stormy Weather,” “I Can’t Give You Anything But Love,” and “Creole Love Call,” using Ellington’s original arrangements and narrative poetry by Langston Hughes. The production, directed and choreographed by Warren Carlyle (Chaplin), will star actor and tap dancer Dulé Hill (Emmy nominee for The West Wing) as the MC and, in the special “Celebrity Night” tradition from the heyday of the Cotton Club, will feature a rotating series of guest stars. In a season where Macbeth and Richard III both come to bloody ends after committing homicidal deeds, and the law catches up with both the hapless heroine in Machinal and the unrepentant murderer in A Time to Kill, it may come as refreshing change to discover that crime might actually pay, and you want to cheer an unscrupulous murderer in A Gentleman’s Guide to Love & Murder (starts October 22 at the Walter Kerr Theatre). The story is about the poor relative of an aristocratic English clan who sets out to bump off the eight family members who stand between him and the family fortune. The new musical itself represents the influx of fresh blood on Broadway: the composer, Steven Lutvak; book writer Robert L. Freedman (they also wrote the lyrics together); and the director, Darko Tresnjak, all make their Broadway debuts with this work. The tone is decidedly tongue-in-cheek and you root for the social-climbing serial killer (played by Bryce Pinkham), particularly because the same actor, Jefferson Mays (best known for his Tony Award–winning solo turn in I Am My Own Wife), keeps popping up again and again to play each of the eight victims. The musical’s source (which also inspired the famous 1949 British comedy Kind Hearts and Coronets) is a dark and stylish Edwardian novel written in 1908 by a contemporary of Oscar Wilde, so it fits right in with the literary pedigree of the rest of this season. But it is the “combination of murder and manners,” as director Tresnjak puts it, that provides all the fun.